JustTech has helped us upgrade our dispatch center from one console to two consoles with 6 wide screens. This system dispatches our ambulances, vans and sedans. It also displays real time vehicle tracking, sends orders and other information directly to our vehicles, displays weather maps, regional hospital status, and area traffic cameras. Additionally, it interfaces with other company sites allowing us to retrieve and schedule trips requested by them. At the same time, a robust server and network upgrades occurred to allow us to interface with our phone system while providing uninterrupted network throughput for all functions. Did I mention they also helped reduce our printing expense by installing a network printer, scanner and fax which integrates many functions into one and eliminated several pieces of redundant equipment? We’d highly recommend these guys for their ability to focus on support without trying to sell unnecessary equipment and services that aren’t needed. Just·Tech works with many healthcare & related organizations and has observed some common challenges. Just·Tech has developed solutions to meet these challenges and increase organizations security, productivity and workflows. JustTech provides network & print solutions for healthcare providers to ensure HIPAA compliance. Creating and following a meaningful scanning workflow is important for many healthcare & related organizations. With our Xerox multifunction printers, there are many scanning options available, including: scan to email, network scan, scan to folder and scan to cloud programs including DropBox, Office365 and SharePoint. Xerox Image Overwrite Security provides a triple pass overwrite algorithm to ensure all data is unrecoverable after every copy, print, scan and fax job is performed on a multifunction printer. When performed after every job, Image Overwrite is fast. Also, Xerox is the only vendor to provide McAfee built-in security that protects the multifunction printers from outside threats. Nothing can run on the device unless whitelisted. You can rest assured that your patient’s data is safe. With our Network Security Solution, we protect your network against internal and external threats. This advanced firewall protection provides wireless protection as well which is often an overlooked vulnerability in customers’ networks. When employees and guests connect to clients’ WiFi, the clients’ networks are susceptible from anything on these mobile devices. 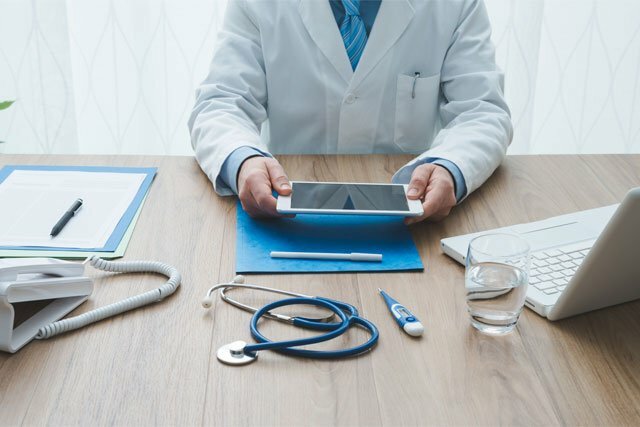 With our solution, new threats are protected against as they are discovered ensuring you have the latest protection for your network and that patient information is secure and safe! Our DNS Protection for workstations (computers & laptops) is a cloud security platform that provides the first line of defense against threats (including many ransomware type attacks) on the internet wherever users go. This solution blocks malicious destinations before a connection is ever established. This is an additional layer of network security and content filtering and highly recommended to prevent intruders from accessing patient information. New software and firmware is released on a regular basis for copiers and printers. This software is traditionally updated manually by the end user which can leave devices with out of date software and networks susceptible to recent network threats. With the Firmware Connect App, when firmware and software updates are released by Xerox and approved by JustTech, updates to the copiers and printers are overnight. This ensures devices have the latest software updates which include security patches for newly discovered threats and that patient information on the network is protected! Many organizations still fax patient information as email has been deemed as not secure in terms of transmission. Fax is going away. Fax is inefficient, ineffective, labor intensive, not-actionable, cost prohibitive, and not secure (to the effect that documents can be laying out on a fax unit). The Healthcare MFP App for Xerox multifunction printers transmits paper electronically right from the device via secure direct message. This service is provided in conjunction with Kno2 and documents sent through HIPAA-compliant secure means. We provide network management and IT solutions to many organizations. We specialize in proactive support & cloud security services and provide remote and on-site support. Many healthcare & related organizations utilize 3rd party software for day to day operations and we have vast experience in integrating unique software.